The Deep Ones are Here! 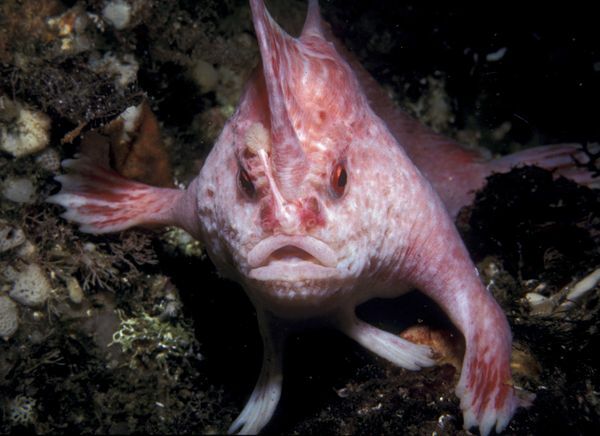 Newly discovered fish with hands. Raccoons now have some competition to replace humans as the dominant species on earth, post-apocalypse. Edit – Apparently not a new species, but a newly designated species. Man, just when I thought it was safe to go back into the water. Now I got Deep Ones to worry about. One more reason for me to stay out of the g-damn ocean. Crap that's scary!